If you want to know why there are so many stupid and corrupt politicians in Romania, the first thing you have to understand is that there are a lot of politicians. Romania has a surplus of judete (counties), each of which has its own prefect (governor) and legislative council. Other countries in Europe which are far bigger manage with far fewer administrative divisions. As even the casual tourist learns, the Romanian parliament building is the largest civilian building in the world. I guess that they felt like they couldn’t let all that space go to waste and so they had to fill it up with politicians. 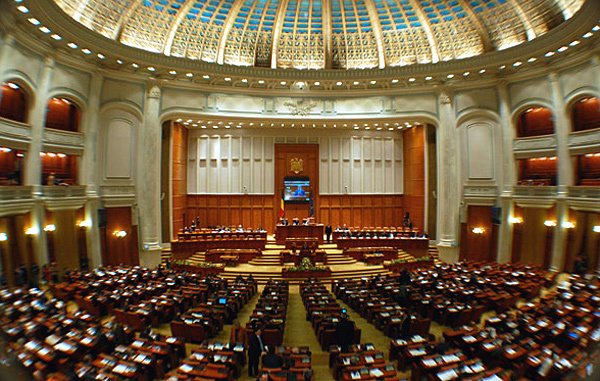 It should be noted that in 2009 a referendum was held on reducing the Romanian parliament to 300 seats and despite being passed overwhelmingly by the people and declared legal by the Constitutional Court, it has never been enacted and so this county remains saddled with a surfeit of politicians on the national level as well. If the will of the people had been respected, Romania would have one MP for every 67,000 people, bringing it in line with Poland and Italy. I feel that some countries have really learned history’s lessons and now are rightfully enjoying their progress – a key lesson that is still not learned by Romanians is cooperation: we are all in this, so we are all responsible; instead, all I can see is that each part, side, individual, group, is pulling in a different direction. Well, I would argue for even more politicians. One argument is that it woul be even harder to get a corrupt law passed, as one would need to bribe more politicians to get a majority, or at least an influential group to support that law. Also, in this day of mass communications technology, it’s a bit obsolete to have one person represent the voice of 67,000 citizens. Ideally, we would have 20 million non-professional politicians, proposing legislation, voting etc. It’s doable given the internet. That’s the best idea I’ve hard all day – a bigger, more participative democracy in the Swiss style, but adapted towards mass communications technology. France has 100 departements, the equivalent of a ‘judet’ in Romania. You were probably thinking about ‘regions’, which are like the regions that are currently debated in parliament. Of those there are 22 (that matter :)). The Romanian system, being heavily inspired by the French one, is not surprisingly following in its tracks and creating a large bureaucratic system.